Hoop Nut adidas Commonwealth PH Press Release adidas + Commonwealth PH POV launched the Tubuluar pop-up exhibit! adidas + Commonwealth PH POV launched the Tubuluar pop-up exhibit! Last week, adidas Originals launched the Tubular pop-up exhibit in POV by Commonwealth at SM Aura in Taguig. The exhibit featured footwear from the adidas Tubular FW16 and the SS17 collection. 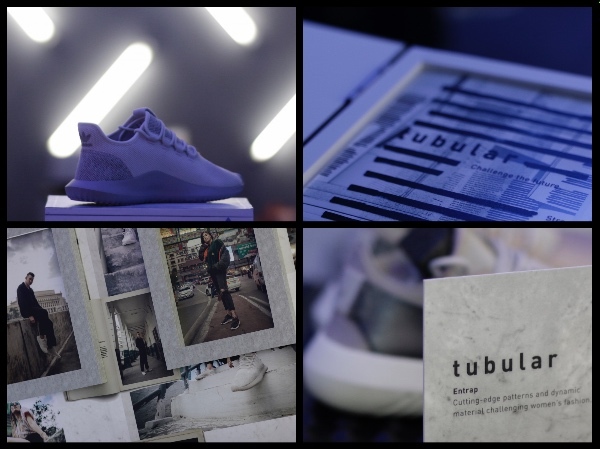 As expected, a ton of people graced the event, which also had special music performances by Curtismith, CRWN, and Eyedress, and all the guests took time to witness the new Tubulars challenge the future. What I love right now about adidas is how the brand has adjusted to the constantly changing landscape of fashion. With modern silhouettes like the ZX Flux, NMD, Yeezy, PureBOOST, and UltraBOOST, along with classics like the Superstar, Stan Smith, Gazelle, and Samba, spearheading sneaker culture around the globe, adidas has really picked itself up from the doldrums and back not just into the realm of relevancy but, rather, into the domain of dominance. In this particular event at Commonwealth POV, adidas challenged the future as headlined by the various iterations of the adidas Originals Tubular. The Tubular Doom silhouette receives a striking premium update, elevating the boldest member of the Tubular series with a luxury material makeup. 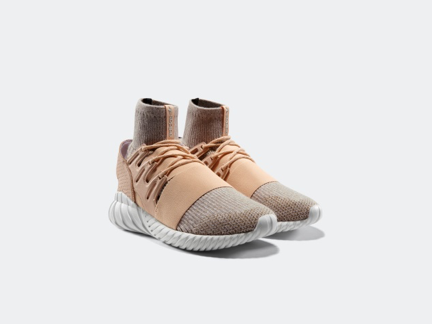 Inspired by the unique blend of style, culture, heritage and craft that embodies the city of Paris, this release sees the Tubular Doom’s sockfit upper constructed from a heathered wool mélange Primeknit, structured by premium undyed leather overlays and a perforated heel cage, finished with a tonal forefoot strap and laces, placed atop the Doom’s iconic rippled outsole. What results is a bold iteration of Tubular’s most fearless silhouette, informed by the timeless essence of a global capital of fashion and culture. 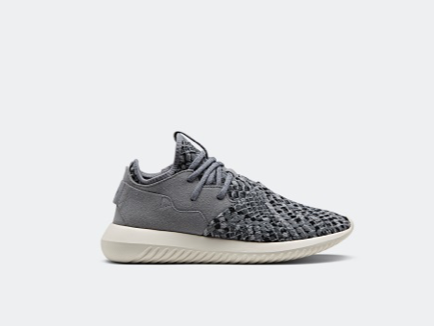 adidas Originals presents two new iterations of the women’s exclusive Tubular models, the Entrap and Defiant, elevating the silhouettes through a unique textile treatment. True to the Tubular’s original blueprint, the latest releases feature a woven textile upper with suede overlay panels. With the Entrap, the shoe’s sock-fit construction combines with an elasticated heel strap to ensure a comfortable fit. The Defiant’s structural overlays on the heel and quarter, meanwhile, are accented by a signature elastic forefoot strap, which combines with the sock-fit woven upper to provide unparalleled fit and comfort. Both models’ understated designs are then accented by a tonal snakeskin motif, countered with reflective branding details on the tongue, the result is a bold evolution of two of Tubular’s most fearless silhouettes. 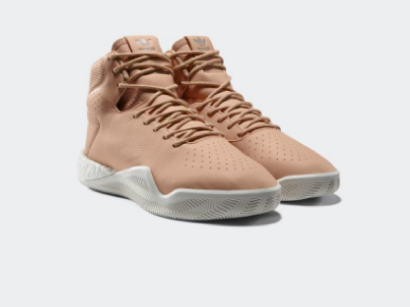 adidas Originals brings a touch of natural luxury to the Tubular Instinct Boost silhouette this December, with two new iterations of the high cut silhouette in high-end material makeups. Inspired by Paris, the City of Lights, the release channels the Parisian reputation for style and fashion through a premium natural leather construction in vegetable tan and black colourways, complemented with crisp tonal details across the upper. A contrast white midsole with concealed Boost adds unparalleled comfort and support, whilst a subtle moc-stitched 3-stripes detail on the heel adds a touch of high-fashion aesthetic, culminating into an understated footwear release with refined stylistic sensibilities befitting the world’s fashion capital. Check out all the social media pages of Commonwealth PH on Facebook and Instagram.